Despite the challenging economic conditions, the number of small businesses in the UK continues to grow. A number of Government initiatives were launched earlier last month aimed at helping small firms. The National Loan Guarantee Scheme will aid businesses with cheaper finance by reducing the cost of bank loans under the scheme by 1%. Key announcements for business in last month's Budget include: a cut in the main rate of Corporation Tax from 26% to 24% next month; the Enterprise Management Incentive scheme will provide additional help to start-ups; and the Government is consulting on how to make it easier for sole traders and small businesses to calculate their taxable income. Are you starting a small business and want advice on the best way of going about it? Do you run a small business and want help on calculating your tax? If you are approaching your bank for a loan what must you bear in mind? What are the biggest issues facing your business? 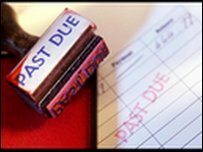 Are you struggling with unsecured or secured debt? Is the Government doing enough to support small business?